"Another day, a whole ‘nother set of fresh possibilities ... I'm a sucker for mornings." 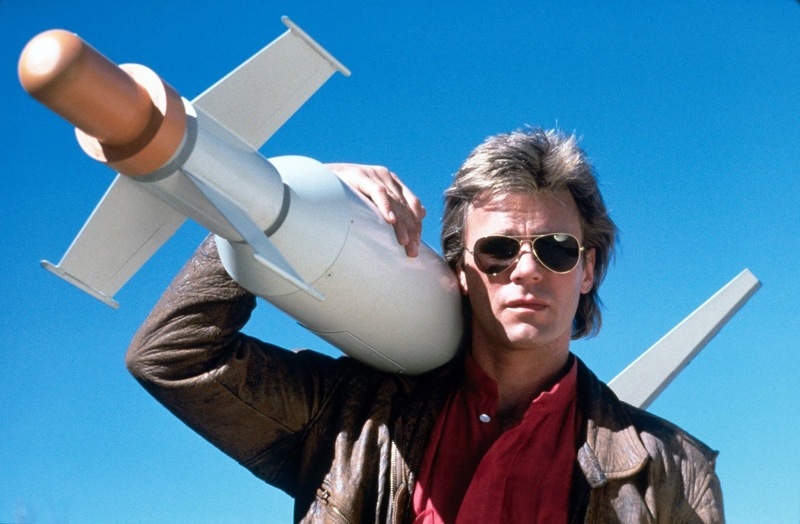 I’ve been watching re-runs of MacGyver on the TV recently and, while it is still entertaining, some of the stereotypical depictions of the foreign bad guys are pretty cringe-worthy by today’s politically correct standards. That aside, and the impossible plans that he comes he comes up with to get himself out of tricky situations, it’s still a lot better, and certainly more family friendly, than a lot of what we get on TV today. 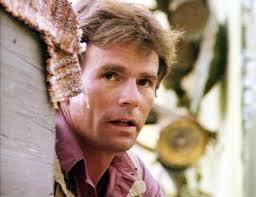 MacGyver, starring Richard Dean Anderson, ran for seven seasons, from 1985 to 1992, during which time we saw our hero escaping from no end of bad guys using little more than his trusty Swiss army knife, duct tape, and whatever else he could lay his hands on. Why he never just grabbed a gun and shot the buggers is beyond me, but here are ten things that probably never knew about the 1980s TV show MacGyver. There was a real MacGyver type guy who would come up with the “MacGyverisms”, MacGyver’s ingenious solutions. He was a gemologist at Caltech named John Koivula who had a scientific knowledge that encompassed both physics and chemistry. Basically, the writers would put MacGyver into a situation and John Koivula would invent the way out of it. Whenever MacGyver was called on to do anything dangerous that could be copied at home, like making explosives, part of the solution would be omitted so that no one could copy it. The show was produced by Winkler and Rich. Henry Winkler had just finished with his long run playing the part of Fonzie on Happy Days and John Rich was finished with his short lived sitcom Mr. Sunshine. They formed a production company and, together with the series creator, Lee David Zlotoff, who also created Remington Steele, they came up with the idea for MacGyver and pitched it to Paramount and then ABC screened the show. Although MacGyver often had fleeting relationships in the show, the closest he got to a proper one was with a girl that lasted as a love interest for three episodes during the third season. The reason why Mac never got serous was because, as soon as it looked he might, Richard Dean Anderson’s legion of female fans complained about it and said they didn’t want MacGyver to become a show like Moonlighting. It wasn’t until the very last season of the show that MacGyver’s first name was revealed to be Angus. No wonder he preferred to be called Mac! Mind you, that does mean that the character had a name change somewhere along the way because, when the show was first announced, Paramount said that Anderson would be playing a character called Stacey MacGyver. The Welsh writer, Terry Nation, who is better known in the UK as the writer of early episodes of Doctor Who and creator of the Daleks and the character of Davros, co-wrote two episodes of the first season of MacGyver. 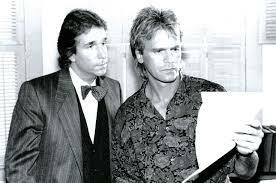 Nation wrote the opening sequences of the episodes “The Golden Triangle" and "Target MacGyver". After several seasons, the writers started to run out of plausible “MacGyverisms”, so the producers offered viewer’s cash to come up with new ways Mac could find his way out of a difficult situation. Most of the ideas sent in were implausible, but one of the few that did make it to the screen was MacGyver using an egg in the radiator of a vehicle to seal up a leak in the cooling system. MacGyver’s dislike of guns is mentioned quite a lot in the show and, of course, it’s an important part of the plot, because it means that he has to improvise with other things instead. The reason for his disdain for firearms was revealed in a 1988 episode of the show that explained that it was down to a childhood friend having been killed in a shooting accident. The only one time that MacGyver was seen firing a gun was in the pilot episode. 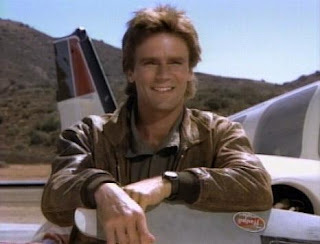 Originally, MacGyver was to be called “Guy”, because that was a masculine sounding name, but the creator of the show, Lee David Zlotoff, didn’t think that sounded catchy enough. He then heard that people were adding “Mac” to words, just like McDonalds do to their products, so “Guy”, became, “MacGuy”. Ultimately, it was decided that the hero should have a three syllable name and the character of MacGyver was born. In the season 5 episode of MacGyver, “Black Rhino”, about rhino horn poaching, the shows special effects team spent $40,000 creating a fake dead rhino. They did such a good job of it that, despite the “no animals were harmed” disclaimer shown in the credits, many viewers phoned in to complain about the mistreatment of a real animal. If you enjoyed this article, please do share it on social media. Thanks!